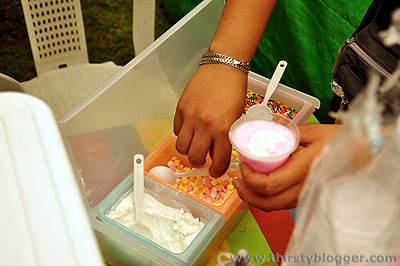 Go to the mall today and one of the most popular stalls you’ll see is the Pinoy Ice Scramble franchise stores. 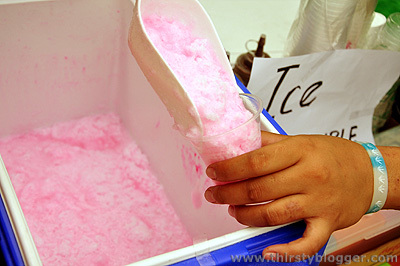 Which got me thinking, how do you make ice scramble exactly? I only remember drinking this when I was a kid but never bothered to learn the ice scramble recipe. So I searched for an ice scramble store who’s generous enough to share their recipe. As expected, none of the ice scramble stores inside the malls wanted to give out their recipe. 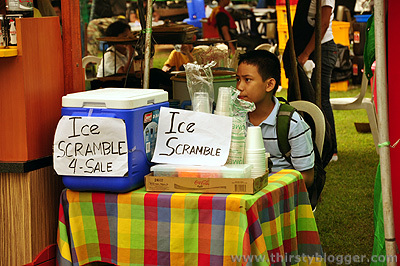 But this kid entrepreneur who was selling ice scramble was kind enough to share his recipe. 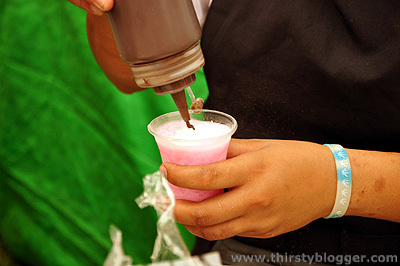 Combine sugar, evaporated milk, artificial banana flavoring and pink food coloring. Vary proportions according to preferred taste and color. Pour mixture over crushed ice and mix. Now you know how to make the classic Pinoy snack, Ice Scramble. Cheers! Can you tell us a more specific proportion to achieve a more common desired taste? Why do we need to pour in a banana flavoring? Is that standard? What kind of coloring are we gonna use? something that is safe, of course. Thank you. I wanna know the powdered milk. It’s not naman Nido, medyo coffeemate yung texture. You know the candy milk powder na de-straw sold at our neighborhood sari-sari in our yesteryears, parang ganun lasa. San kaya mabibili yun? To those asking for the specific proportions, I’d say just use your better judgment for there really is no exact way to do it. And also, I’ve now noticed that in some baking supplies shops, they now have ready-made ice scramble powder mix there. So you can also check those out if you want to make your own ice scramble at home. thaks for the info now we can enjoy the classical famous ice scrambles..
your certainly the thirsty blogger. ung chocolate syrup and strawberry syrup are available sa divisoria, andun din lahat makikita ung ready made mix na scramble..and toppings andun lahat..
naalala ko yesterday bumili ako ng ice scramble ang sarap!kaso ang bili ko ten pesos tapos daya ng tindero tapos ang toppings powdered milk at chocolate syrup ang daya ng canteen namin buwisit talaga ng canteen namin sobrang swapang tlga. pero ang toppings tlga pinipig crunch,sprinkles,powdered milk,chocolate syrup,small marshmallows,and choco crunch that’s yummy! hi guys! if you want to have your own scramble business, we will teach you how to make the traditional way and the commercial way of making a very yummy scramble..
saan kaya po banda sa divisoria makikita ang mga premixes? Yung banana flavor actually yung nagbibigay ng unique na “bubble gum” taste sa ice scramble. Kung wala yun, hindi na siya ice scramble. 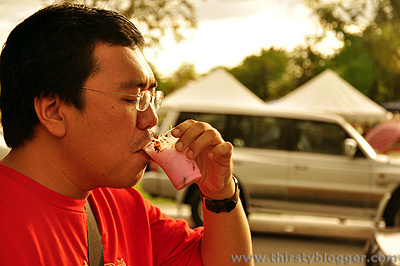 Try putting one drop of banana flavor sa ice shaving ng halo-halo, instantly lasang ice scramble yung halo-halo niyo. I haven’t tried vanilla flavor. Pero ingat lang kasi kung sumobra maglalasang gamot na yan. sa MD Santos St., Binondo andun lahat ng hinahanap nyo for ice scramble ….. BWHAHAHAHAH!!! napag hahalata sino sino na yung matatanda! HAHAHAHAHAHAHAH!!!! haw flakes, hawhaw, lala, stay fresh, chocnut, flat tops! mobi, richie, peewee! HAHAHAHAH!!! ICE SCRAMBLE! HAHAHHAAHAHAHAH!!! wwwooohhh!!! Ano po gamit nyo pandurog ng yelo?